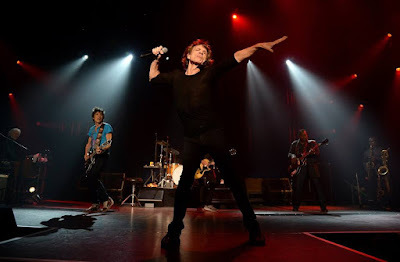 The Rolling Stones are streaming a new trailer for the release of “Sticky Fingers: Live At The Fonda Theatre 2015” in multiple formats on September 29. Part of the band’s ongoing “From The Vault” series, the package presents the group performing their legendary 1971 album in its entirety – for the first and only time – at The Fonda Theatre in Los Angeles on May 20, 2015. The intimate setting of the 1,200 capacity Fonda Theatre was in contrast to the huge stadiums in which the band would perform for the rest of the tour. Launched with the lead single, “Brown Sugar”, “Sticky Fingers” debuted at No. 1 and enjoyed a four-week stay atop the Billboard 200 on its way to US sales of more than 3 million copies. “It is quite a mature album in its way,” says Keith Richards in the new trailer. “Sticky Fingers: Live At The Fonda Theatre 2015” will be available on DVD, Blu-ray, DVD+CD, DVD+3LP and digital formats. The DVD & Blu-ray include interviews with band members and Bonus Features that deliver songs cut from the concert film, including “All Down The Line,” “When The Whip Comes Down” and “I Can’t Turn You Loose”, while the CD and 3LP feature the full show as performed on the night. The “From The Vault” release arrives after the September 9 launch of The Rolling Stones' No Filter European tour at the Stadtpark in Hamburg, Germany. The group will also release a 50th anniversary edition of the 1967 album, "Their Satanic Majesties Request", on September 22, and a book release of “The Rolling Stones On Air In The Sixties” on September 26.